Have to comply with MIL-STD-129 or MIL-STD-130 Labeling Standards and don’t know how? Try Winco ID’s seminar. The US Government requires anyone who ships product to the DoD to comply with strict mandates for labeling pallets, cartons and products to enhance the accuracy and rapid response capabilities of our military. Deadlines are being enforced, and regulation details are numerous. Mandates are changing; making it difficult for some to comply and others to know when they are truly in compliance. Those who are not ready or are found to be non-compliant face the possibility of incurring high penalties, delayed shipments and loss of contract business. protected. Winco ID and our partners offer a resource of compliance solutions. Join us for our seminar, “Demystify DoD Labeling Standards” to learn what you need to know to meet Military Labeling Standards and make the right choices for your success. Meet industry leaders with first-hand experience with RFID technology, UID implementation and compliance solutions for DoD Suppliers and Subcontractors. This session is focused on helping you comply with the labeling requirements of MIL-STD-130 and MIL-STD-129. What is UID, Deciphering the UID Code, Printing the UID Code, and the UID Registry. UID QC and how to be sure your marks are in full compliance. ABC’s of validation and verification and why it’s important. What changed in Change 4? What you need to do to meet requirements including RFID. Unifying the UID and RFID workflow process into your existing business processes. Software solution that fully integrates RFID, UID, WAWF and the UID Registry. Maximize efficiency and accuracy with labeling at the point of operations with mobility workstations. 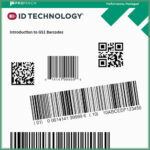 How to handle RFID encoding and UID printing requirements. Verify your labels to know you are in compliance. Demonstration of workflow and WAWF submission tools. The seminar is free, but pre-registration is required. Please visit our web site to register or us at 1.800.325.5260 for more information. If you are unable to join us, call us to see how we can help you get in compliance. And if this date has past by the time you are reading this post, please check our events page for a new schedule or call us for an update.